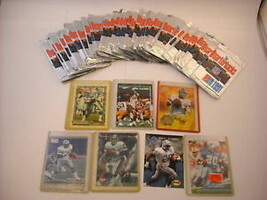 This is a listing for a collection of Football and Basketball trading cards. 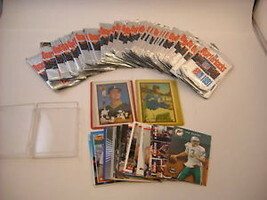 There are 42 sealed NFL Quarterback cards from 1991 by Domino's Pizza. 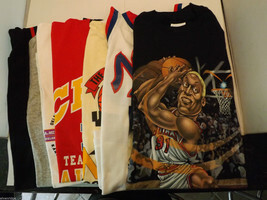 There are 10 basket ball cards each in its own case including two rookie cards, Scottie Pippem and, Shaquille O'Neal. 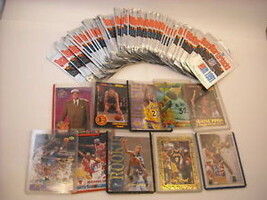 Each card measures 3" x 4," and each pack measures 2 3/4" x 4 3/4."